Helen Scheuerer is the Founding Editor of Writer's Edit and a creative writer/novelist from Sydney. She studied creative writing at the University of Wollongong, and worked as a professional writer and editor for some of Australia's biggest websites. She has a Masters of Publishing from the University of Sydney. Helen freelances for a number of websites and helps authors with their manuscripts while she works on her own fiction and manages Writer's Edit. Her debut novel is due for release in 2017. She chronicles her writing process and work over at HelenScheuerer.com. Claire Bradshaw is a freelance writer and editor from Newcastle, NSW. She holds a Bachelor of Arts (English & Writing) and a Graduate Certificate of Editing & Publishing, and works as a part-time freelancer, part-time marketing assistant, and part-time editor at Writer's Edit. A lover of books, blogs, magazines, and everything in between, you’ll either find her reading, working on an editorial project, or drinking endless cups of tea while writing things of her own. You can view her freelance portfolio and blog at ClaireBradshaw.com.au. Originally from Birmingham in the UK; Dave has spent the last five years in Sydney working for a high-traffic internet company. With experience in Operations, Internet Marketing and Programming, Dave was the perfect fit for Head of Tech at Writer's Edit. 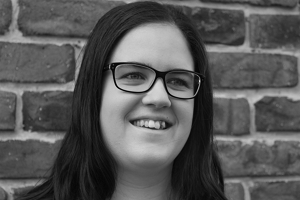 Jenny has a Master of Publishing – plus two editing and proofreading certificates – from the University of Sydney. She’s a marketing assistant for a rights management organisation and spends her days advocating for Australian creators. When she’s not doing that, she’s teaching dance, doing yoga or chasing lemon meringue tarts. Kyla has recently graduated with distinction from a Bachelor of Creative Industries (Creative and Professional Writing) at Queensland University of Technology. Writing has been part of her life from a very young age. After an amazing experience interning at the University of Queensland Press in 2015, Kyla is now eager to pursue editing with a new-found passion for helping writers bring the best out of their stories. When not writing or reading, she's drawing, learning Japanese or working to consolidate her world of books with the world of technology. You can follow Kyla on her first steps into Twitter, or on her blog. Kristin Prescott’s career has taken her from broadcast journalist to mum and award-winning children's author. She is the editor for the Society of Women Writers NSW e-newsletter and quarterly magazine. Kristin has also written for New Woman Magazine, the Seven Network, Sky News Australia and Australia’s number one breakfast television show, Sunrise. Scribbles in the Dark, the children’s book she co-authored with the WABIAD NBWG team, won Best Book in the 2013 Write a Book in a Day, National Open category, and her essay 'Through the Eyes of a Child' was published in the international literary journal 'When Women Waken'. Her short story 'Chairs and a Lake' was shortlisted for The Pittwater Award 2012. Kristin is currently writing a children’s fantasy novel and a creative non-fiction book for children. You can follow Kristin's writing journey via her website, here. Daniel Murphy is the author of three self-published books. His creative non-fiction piece 'Joining a Writer's Group' appeared in Writer's Edit's second volume of Kindling and he has a number of published short stories on ABC Open, one of which was produced for ABC Radio. Daniel grew up in southern Adelaide, surrounded by books and reading. After finishing secondary school, he spent the majority of his spare time working on his writing in the midst of his tertiary studies, a four year degree in Education and a Graduate Certificate in Editing and Publishing. He is fascinated by the nature of storytelling and loves to read a book or watch a movie with a crafty plot. He loves soccer, running and road trips. You can follow his writing journey here. Zita always wanted to be a writer and has kept a journal since the age of 11. She left school early to become an apprentice chef which led to many adventures worth writing about, such as meeting Elton John and catering for an intimate wedding on Sydney’s Hawkesbury River with no vehicle access or electricity. Now Zita is out of the kitchen and in front of the computer, doing what she was destined to do. Zita has been a contributor to Writer's Edit since 2013. She lives on the fringe of Sydney’s multicultural Inner West where you can find her writing in the garage or at the dining table. Zita’s work has also been published by When Women Waken, an online international literary journal (USA). She is also a member of the NSW Writers' Centre. You can follow Zita on Twitter, or read more of her writing on her blog. Before Emma learnt to read, her favourite thing to do was ‘pretend to read’, which involved flipping through a picture book, ‘reading’ her own stories out loud for hours at a time. Now, she’s living her dream by working as a Freelance Writer and Editor in Brisbane. She holds a Bachelor’s degree (distinction) in Creative and Professional Writing and Public Relations and is currently completing a Master’s degree in Editing and Publishing. Emma has done an Editorial Internship with the University of Queensland Press and reads and evaluates manuscripts for the Rees Literary Agency. You can keep up with what she’s doing on her website, emmajohnsonwrites.com. Hannah Macauley-Gierhart is a writer from NSW's Central Coast. She has a degree in English Literature and Education as well as a Masters in Creative Writing (graduating with distinction), both from Macquarie University. In recent years she has worked as a high school English teacher, before leaving to venture into the new realms of motherhood. Now, Hannah is working as a freelance writer, editor, and fiction reader. She is passionate about tea, storytelling, and hanging out with her beautiful baby. Hannah spends most of her time excitedly discussing literature, reading anything she can get her hands on, writing at strange hours, or dancing wildly to The Wiggles. You can see past contributors to Writer's Edit on our Alumni page.